Julie Andrews has been a beloved and much-honored star of stage, screen and television for more than half a century. Her career is an exciting blend of unique facets through which is woven a common thread bearing her undeniable imprint of elegance and integrity. Ms. Andrews made her Broadway debut at the age of 19 in The Boyfriend. She then went on to create the role of ‘Eliza Doolittle’ in the stage production of My Fair Lady and subsequently ‘Guinevere’ in Camelot. She received an Academy award for Best Actress in her first film, “Mary Poppins,” and was nominated for her performance in “The Sound of Music,” one of the most successful motion pictures of all time. Her crystalline singing voice, wholesome appeal, natural elegance and sly humor made her a top box office draw around the world. In 1989 she became the first actress to be given the special Tribute award of the British Academy of Film and Television Arts. During the course of her career she has also won five Golden Globe awards; two for being the world’s favorite actress and one for her performance in the film “Victor/Victoria,” a role she reprised on stage for the Broadway production in 1995. And, while the world has known Ms. Andrews and long savored the magic of her artistry in film, television, on stage and recordings, she continues to seek new and challenging opportunities through which to ply her seemingly endless talents. In 2000 Queen Elizabeth II made her a Dame Commander of the British Empire. Ms. Andrews is also involved with several charities including the United Nations International Fund for Women, Operation USA – an international relief agency, Save the Children and the Foundation for Hereditary Disease. In addition to her work for many charitable organizations, Ms. Andrews has authored a number of books for children. The Julie Andrews Collection, an imprint of Harper Collins Publishers, was launched in October 2003 with four releases. Already an accomplished best selling author (Mandy, The Last of the Really Great Whangdoodles, Little Bo and Dumpy the Dump Truck) Ms. Andrews has joined talents with her daughter, Emma Walton Hamilton, to pursue the publishing of books committed to stimulating a sense of wonder in children and young readers. Ms. Andrews has the elegance, artistry and integrity that compliment her enduring dedication to her work and her fellow man as she continues her illustrious career. From her Broadway stage triumphs, her many motion picture successes added to her long list of top rated television specials and a recording career equaled by few, there can be little doubt that Ms. Andrews is truly an entertainment phenomenon. Do you want to hire Julie Andrews? Directly request a quote. In 48 hours we can send you the availability of Julie Andrews If you would like to book Julie Andrews, Entertainment Booking Agency is the right place. 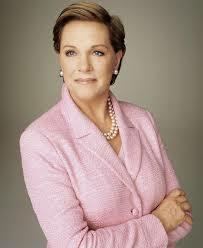 We will offer you the best price and contact the management or we directly contact Julie Andrews. For corporate appearances or speaking engagements you can contact our agents and the will help you true the process. Tags: hire Julie Andrews, Julie Andrews booking, book Julie Andrews, Julie Andrews appearances, find more information on booking Julie Andrews for appearances, Julie Andrews speaking engagements, Julie Andrews endorsements/spokesperson, Julie Andrews appearance fees, Julie Andrews booking agency contact info, biography of Julie Andrews, Contact an artist booking talent agent find a speakers bureau that can book Julie Andrews, speaker booking agency for Julie Andrews, Julie Andrews booking agency, Julie Andrews booking for corporate event. EBA is one of the biggest entertainment booking agencies in the World. We book hundreds of celebrities, artist, athletes and speakers in a year. Important to know is that we are not claiming to be the management of Julie Andrews. We are not the official agent for Julie Andrews. Companies from around the globe book these artists and speakers true our company be course we have one of the biggest networks and we always have direct contact with the artist or the management. We help you to find the right celebrities for your corporate of private events. Please contact one of our agents to get free advice and we will help to get the world-famous artist on your party.